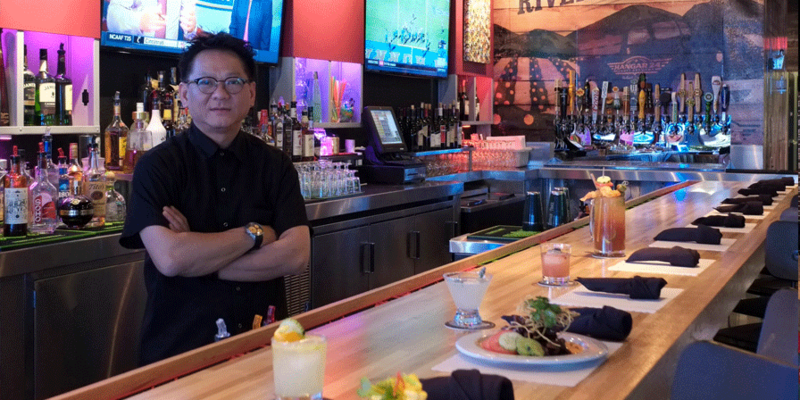 We are a Scratch-Cooking Thai Asian Flavor Restaurant, Sushi Bar & Sports Bar in the Heart of the IE. Join us for Amazing Food & Great Times! Offering Lunch, Dinner and Catering. 22 Craft Cocktails & Craft Beers and an All New Appetizer Menu! Virginia Woolf said “One cannot think well, love well, sleep well, if one has not dined well” and I for one agree. And if you’re anything like me then you know what it’s like to always be on the prowl for a truly good meal. I spend much of my days driving around the IE in search of a gratifying food experience that not only fills my stomach but is also artistic. 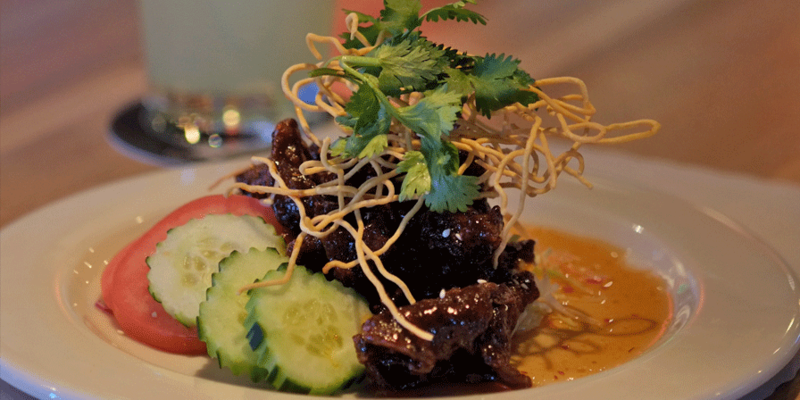 The current culinary scene demands fresh, local, healthy fare and I have found such a place at GraPow. 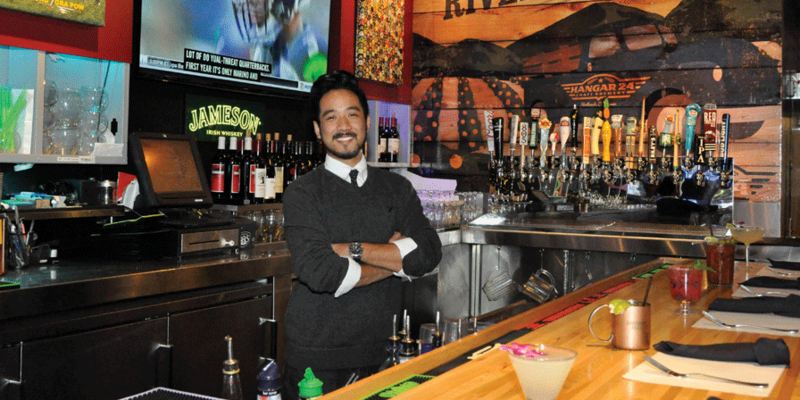 This modest & down-to-earth restaurateur serves some of the best fusion food in Riverside. 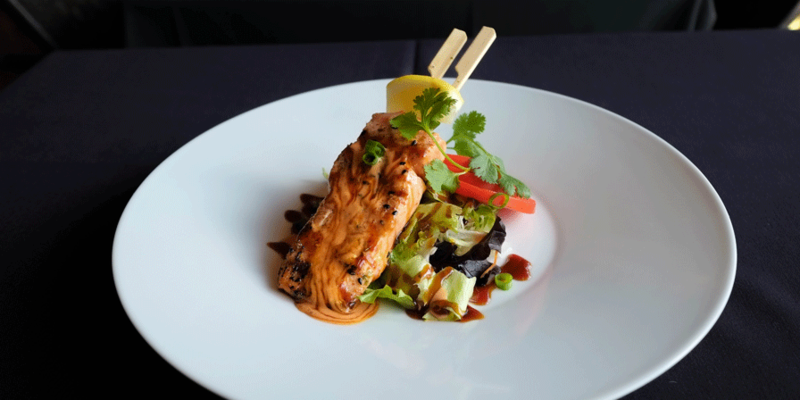 This is not for the Thai purist, this is “Thai Asian” flavor; the authenticity lives in the personal interpretation and the art in its presentation. This may not be oil on canvas, but this is art all the same. 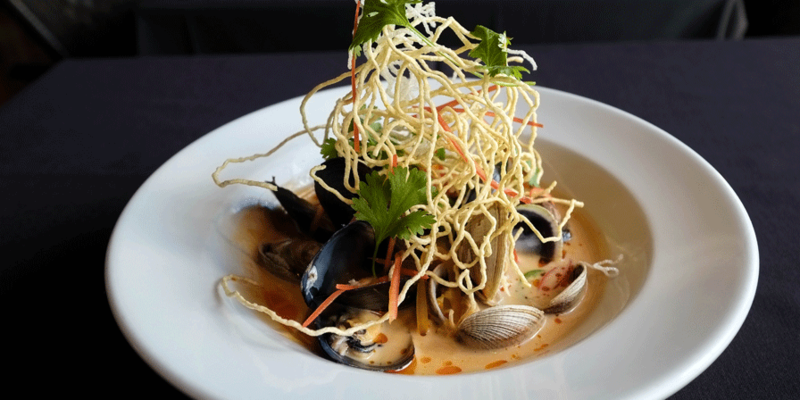 The owner, Patrick, was raised in Bangkok, trained in French cuisine in Beverly Hills, and has lived in the US for many years now and all of those influences are present at his table. He is using modern techniques & the freshest of ingredients and the result is wonderful. I sat down with Patrick and his son Isaac in their dining room to ask them about their food. Q: Patrick, you opened Table for Two and then in 2006 GraPow, you are clearly an integral part of the Riverside food scene, to what do you attribute your success? A: The customer is number one. We have a homey, neighborhood feel that people tell us keeps them coming back. We have friendly staff, some since we opened. We receive fresh ingredients several times a week. We cook our food to order. We are consistent. Q: Do you foresee any food changes in your restaurant? A: Yes, we are working on a new menu that we will be presenting in fall. Isaac has brought a young perspective to us. We are evolving. We are tasting new recipes now. I feel I have a good taste of what people will like. We are excited! Q: What is GraPow offering that is unique? Q: What are you trying to convey here at GraPow? A: Love. There is love in every dish. Love is the making of the food and when I see customers enjoying my food it makes me feel great. 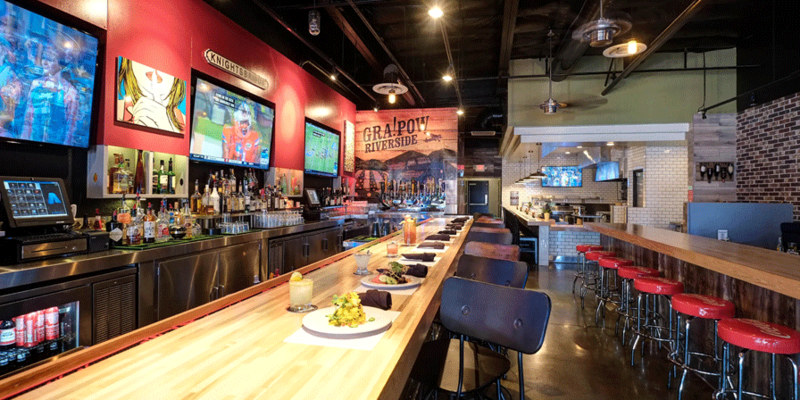 GraPow’s dining room is architecturally modern, the seating is intimate. With hardwood floors and a quirky charm found in the details like the abacus wall divider. The staff is friendly, dressed professionally, and prompt. The sound of jazz serves as your background. As for the food, it’s superb. The presentation is beautiful. I left in my wake trails of empty plates while smells of ginger and lemon grass and garlic still wafted in the air. The produce clearly came from a garden rather then a freezer. This visit I got to sample one of his items coming on the new menu; “Crying Tiger Steak” served with sticky rice, fresh vegetables, and the sauce that was so savory and spicy I wanted to stand up and applaud my plate. Truth be told, GraPow makes me happy. I highly recommend you try this trendy local treasure, you can use the $5 coupon found here in YourVilla, and please tell Patrick we sent you.